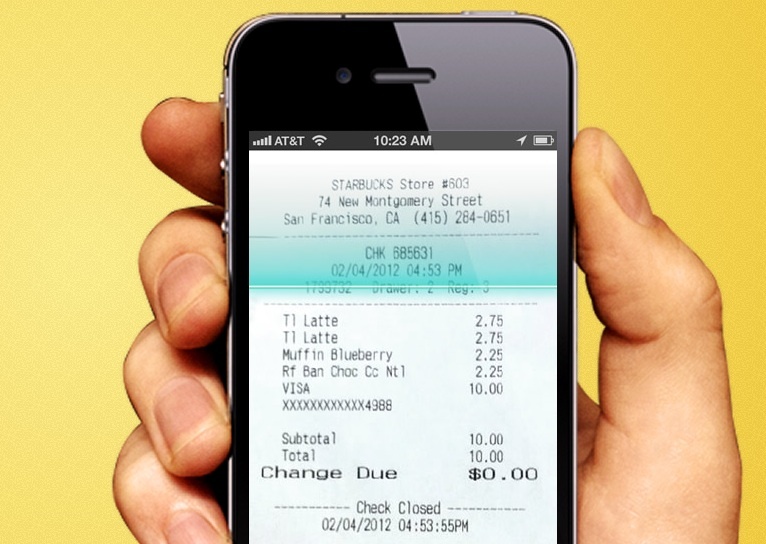 Mobile expense tracker Lemon launched in October with a simple way for people to track their expenses by taking pictures of their receipts using their phones. The service has proven pretty popular with 1 million users signing up in less than four months. Now, the company is looking to go beyond just receipt storage into Mint (s intu) territory with a new update that helps categorize, filter and total up spending. Previously, Lemon was more of a Dropbox for receipts. Users took pictures of their receipts or took email receipts and forwarded them to their Lemon.com email address. Lemon extracts data from the receipts about the merchant and product making it easy for people to track their spending. But now, with Lemon 3.0, users can have their purchases organized by category, so they can better see where their money is going to. 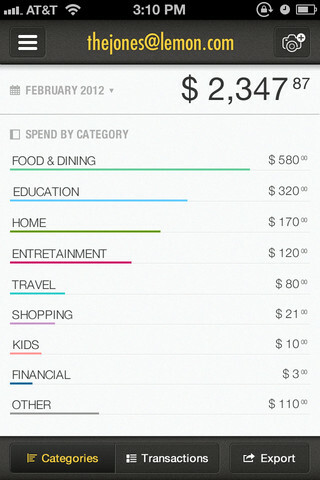 They can also get a summary of labeled items and a daily spend linear graph. There’s also new ability to sort and filter transactions and a family plan, so up to 10 members of one family can pool their receipts to see how the whole household is spending collectively. A Lemon app is available for iOS (s aapl), Android (s goog), BlackBerry (s rimm), Windows Phone (s msft) and Symbian (s nok). The basic service is free to scan an unlimited number of receipts, get a summary of spending and export receipts and data. A premium data plan, which provides additional features to track spending, taxes and gain more complete records, is $9 a month, or $50 a year. The family plan starts at $3 per month or $20 for a year. And a $4 a month business plan for companies is also on the way. Wences Casares, the founder and CEO of Lemon said the latest update gives users more tools to track their overall spending. He said over time, Lemon will also add budgeting features, taking Lemon even further into Mint territory. But he said Lemon is not aiming for the same base of users. “We see Mint as a service for people who are serious about about personal finances. We want to appeal to customers who are more casual about finances because most people don’t have the time or discipline to dig into receipts,” Casares said. What I like about Lemon is that it’s good for tracking cash transactions. While services such as Mint can automatically connect to checking and credit accounts, users have to manually enter their cash payments. With Lemon, they can make sure all those little payments here and there are accounted for. That is, if they remember to take a picture of a receipt. But with the way Lemon is set up, it’s designed to make it easy to do that. Users may balk at the pricing of the premium plans. And some users have complained of bugs and a more cluttered UI with the latest update. But many are finding it’s a good way to keep on top of their spending. I think this is helpful to avoid the clutter of receipts in my wallet, though it takes some discipline to keep snapping pictures of receipts. But when you do, there’s that nice feeling of throwing away some excess paper and knowing you’ve got the data in the cloud. As a junior in college, I think that this app would be most beneficial geared towards college students. It would make students be more cautious of how their money is being spent when trying to manage their social life with education expenses. This app could be a great tool in managing and budgeting expenses to prepare for life after college. It looks as if the company is using a pretty intuitive interface. I’m interested to find out some of the particular tactics used to gain such a large following in such a short amount of time. This sounds like a useful app. Not as serious as Mint? Having to take a picture of every receipt seems pretty serious to me. If I could take a picture and have Lemon or Mint track to make sure I’m billed the correct amount on the receipt I’d jump on that. Or better yet just let me enter the details of my receipt. Right now I have to manually look at my transactions to see if anything looks out of place. If it does I dig out the receipt which gets filed away and kept for a few months. I used to use expensify when I was traveling a lot on business last year. It was really a God-sent in terms creating expense reports. No pictures necessary for bills less than $75.00. All I had to do was link the cards the same way I did with mint. Now if only intuit purchased expensify and integrated the two.